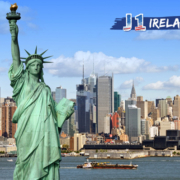 Planning on heading to New York on your J-1 Summer Work Travel. We have 6 great positions in an open air amusement park in Central Park, Manhattan. Wages $11 per hour. Cost only $699 which includes insurance cover. If you already have job organised we have self placed option for $499 (insurance excluded).